Coffee is a major part of the cycling culture. There’s no doubt about it. In fact, many cyclists jokingly say that if it wasn’t for a coffee they may not even ride at all! This sweet black nectar is not only a downright magnificent drink, it also brings our cycling friendship groups more closely together; it’s proven to stimulate our physiology to give us an extra boost; and it’s known by many as the ‘reward’ we can aim for either pre, during, or post ride. In other words, it gets people out there exercising! Recently, I was posed an interesting statement regarding coffee from a good friend. 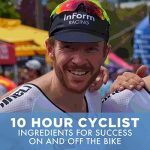 It went as follows – “I’m starting to enjoy my pre-ride coffee more than my post ride coffee”, Bryan said. “Say what?” I said subconsciously. Ironically, Lee Turner, who features in this video, doesn’t drink coffee! I understand that there are people/cyclists out there that will say that they prefer ‘both’ or their mid-ride coffee is a favourite. 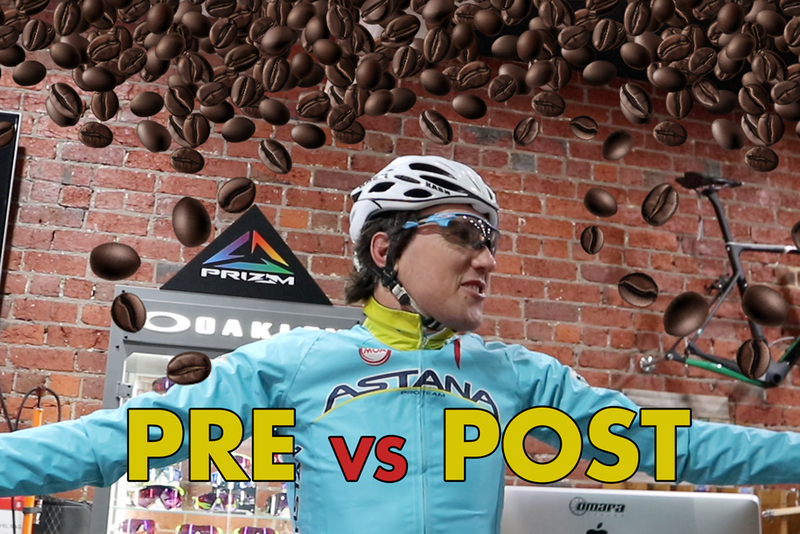 However, from what I’ve learnt, it’s fair to say the vast majority will either be fans of post or pre ride coffee. So here’s the results from all my recent discussions on this very serious cycling topic. 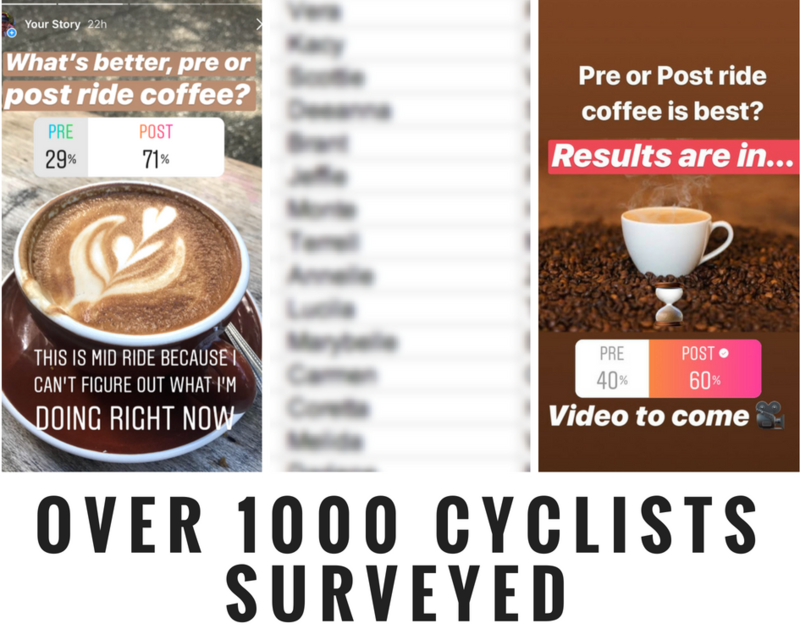 Across two separate Instagram accounts – my personal one and the Bike Chaser one – and interviewing friends who ride; bike shop owners and their staff (which I visit on a weekly basis), I ended up with 1000 people. Well, 1001 if I include myself. It should be noted that I used to work for and American Software company that was heavily involved in market research. While I’m happy to accept criticism for my survey methods, please keep in mind that this is all fun and games, not a Government funded initiative. What I made of all this? As cycling continues to grow in popularity and coffee is at the forefront of peoples minds, the traditional pre-ride coffee that everyone once enjoyed most, is shifting. More and more cyclists are looking for more and more coffee. As a result, there are many cyclists out there that are starting their ride with a coffee, perhaps stopping mid ride too, and then rounding out this riding / coffee bonanza with a final post ride coffee. With so much coffee being consumed, peoples preferences are changing. There’s no doubt that the very first coffee of the day is typically the best. 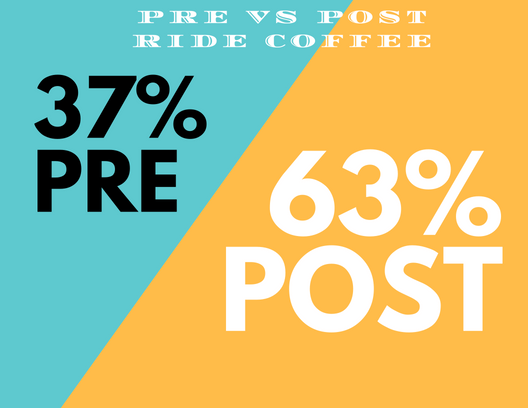 So with more and more cyclists having a pre-ride as well as a post-ride, could we one day see the pre-ride coffee prevail? Coffee is a natural diuretic and my body works the same way as everybody elses – I have the urge to visit the loo after a cuppa. I don’t want to compound the problem mid-ride by caffienating beforehand. This may be why most riders drink after a ride, they can relax, enjoy their brew and let nature take its course.